Greetings from Singapore No. 5 [Three Scenes, two of "Impounding Reservoir" and a third of the "Race Course"]. 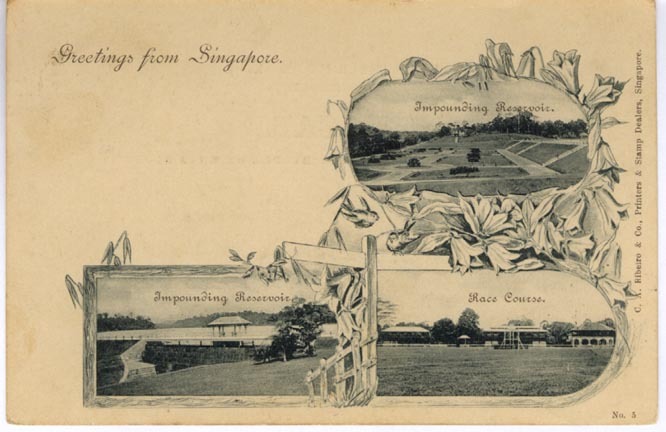 Published by C. A. Ribiero & Co, Printers and Stamp Dealers, Singapore.